Yesterday, in an LA Times article detailing actor Brad Pitt’s successful and growing career, the magazine noted that “World War Z” director, Marc Foster (Finding Neverland, Quantam of Solace), along with Paramount Pictures, have plans to make the “most expensive zombie movie in the history of Hollywood” become the most expensive zombie trilogy in Hollywood. Potentially, the 3-part feature storyline will be more realistic, like the Jason Bourne series, rather than focusing on the doom and gloom end of times, which is depicted in AMC’s, “The Walking Dead”. Paramount Pictures has not made any confirmation of a World War Z trilogy but my guess is that if there already was talk of a trilogy, there is going to be a trilogy. After all, the movie industry is all about making money. 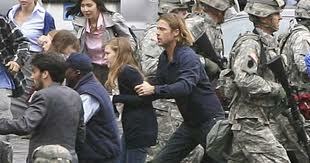 World War Z will be released on December 21, 2012, and will follow Pitt’s Gerry Lane as he travels the world, trying to discover information that will help to stop the zombie epidemic. The movie is based on the bestselling Max Brooks novel of the same name, however, with talks of a trilogy and details of the storyline, it seems as though Foster will not be following the book’s structure very closely. 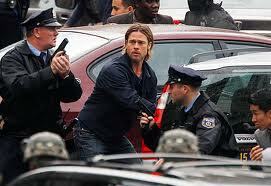 Do you think that World War Z should be a trilogy? Even Horror Film Locations Can Get Bad YELP Reviews!